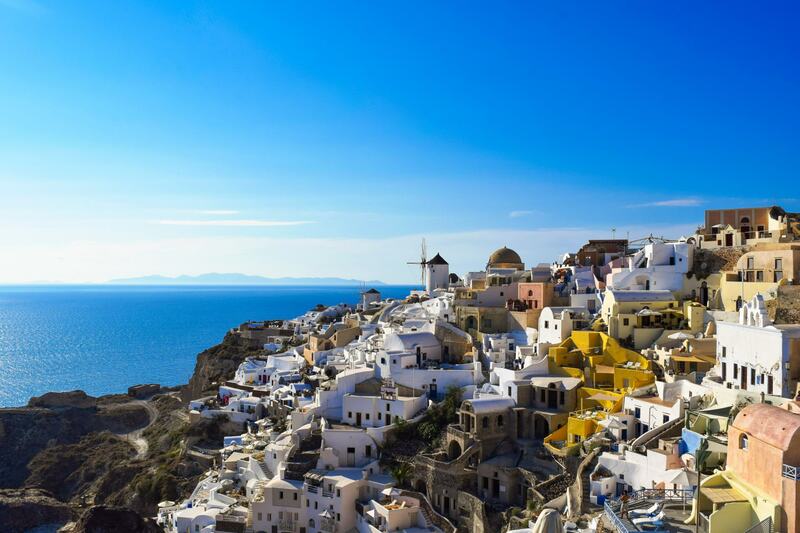 Oia is a picture perfect town found at the north of Santorini Island famous for it’s epic sunsets, delicious seafood and blue-domed buildings that break up the white painted buildings all over the cliff side. 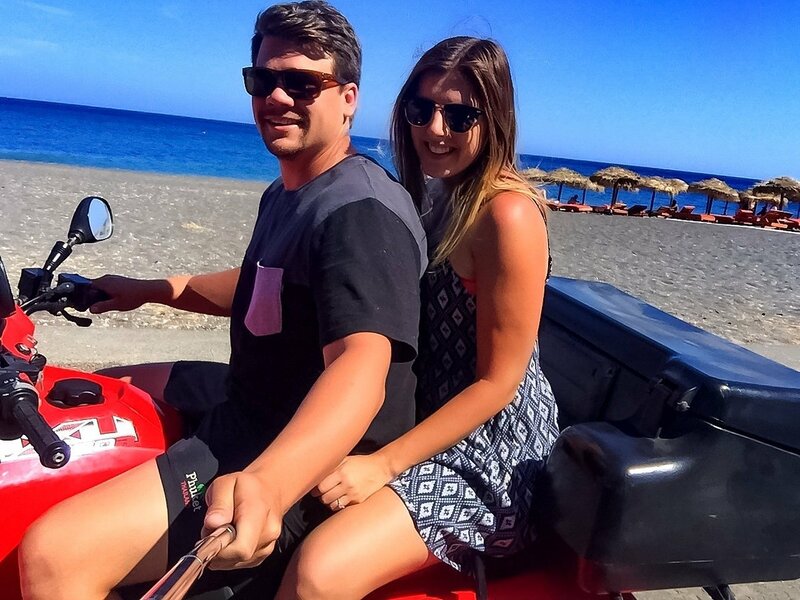 Without a doubt, the best way to get around Santorini island is by renting a quad bike. 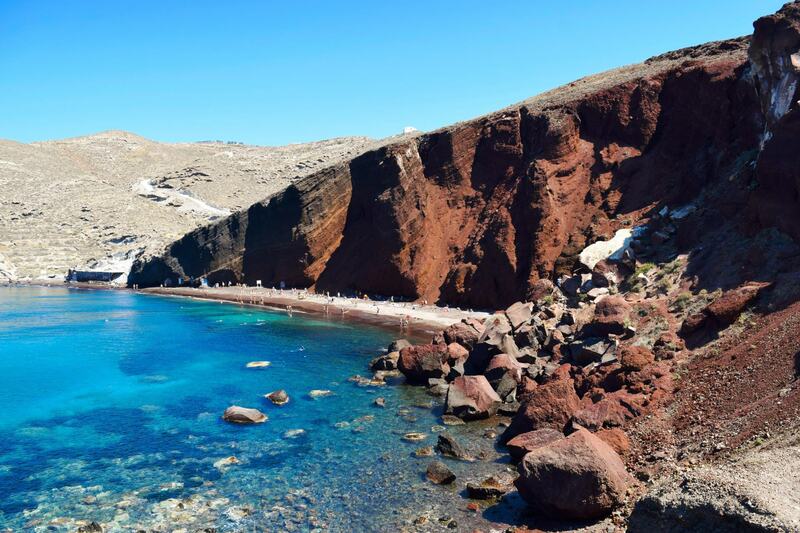 If you haven’t experienced a quad bike before, Greece is the perfect place to do it! 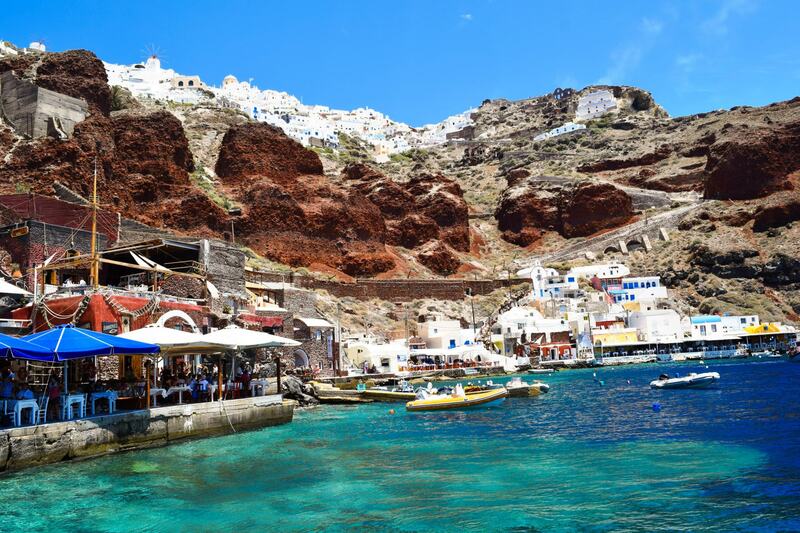 Long days spent relaxing in the summer heat are the best way to spend your time on Santorini, and there are so many beautiful beaches that you can hop between. 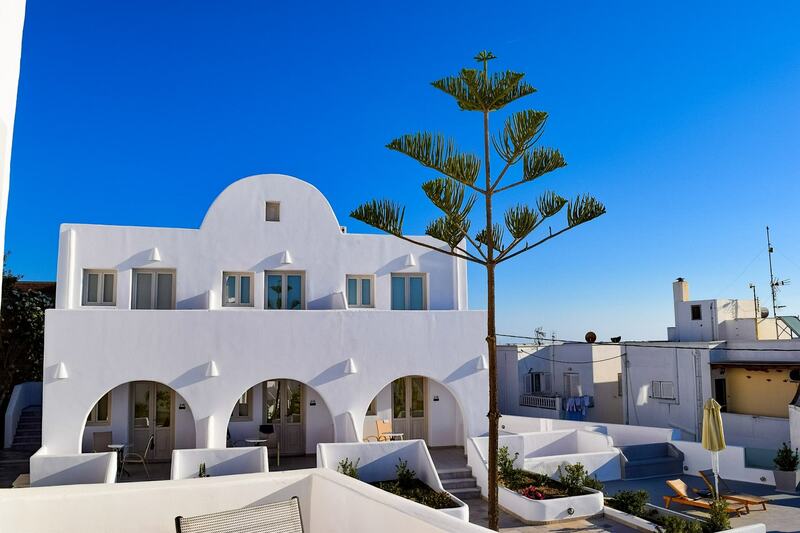 Greece is one of those places where it’s easy to find somewhere secluded and private to make you feel like you’re the only ones there! Bay of Ammoudi was one of these places for us. 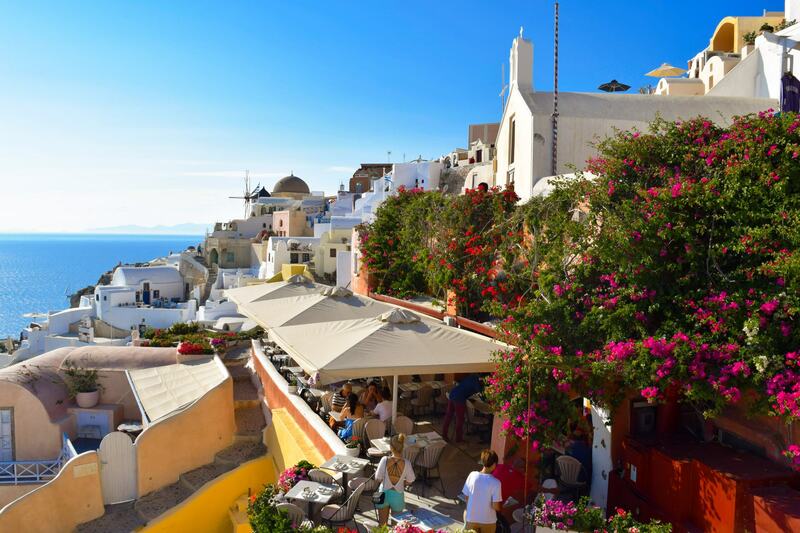 As soon as you arrive in the towns of Santorini you understand without a doubt what all the fuss is about. It’s beautiful, stunning, breathtaking, all the things you have always imagined it would be and more.